Well, I'm back. I know I took a bit too much time off, but I have been busy, believe me! As a follow-up to the 2009 House Tour sponsored by the Princeton Historical Society, the subject of my first posting, it was a HUGE success! Nearly 1000 people visited the eight homes on the tour. I especially loved hosting the Dairy Barn on Parkside Drive. Unlike the other houses on the tour, which are wonderful, although more traditional transformations of historic structures, the Dairy Barn is owned by architects with a unique vision for spatial purity and scale. Rather than the intimate authentic interiors which characterize the other homes, the Dairy Barn boasts spectacular soaring spaces supported by massive wood beams spanning the rich textured brick walls. It is awesome space ideal for elegant entertaining, art exhibitions, and compartmentalized living. The central living space lies between two impressive towers, which lead to flanking brick wings embracing a private gated courtyard - a sanctuary of quiet natural beauty. 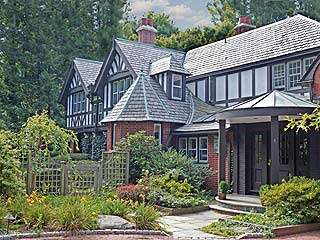 Hidden jewels like this can be found all over Princeton - but you need an invitation or a guide to see them! Don't miss next year's House Tour! It is your ticket to see some of our community's most treasured private homes. Onsen For All - Princeton's newest "Hotspot"
Princeton's newest "hotspot" is a beautifully conceived Wellness Center envisioned and brought to life by Dale Krieger in order to provide an affordable means of achieving healthy living. With its formal opening on November 14th, Onsen For All, opened its doors and soaking hot tubs to anyone and everyone in the community. Encompassing the concept of Full Circle Wellness, the facility exudes peace, tranquility, and hope. The Center resides in an exquisitely restored Revolutionary War structure, the oldest in Franklin Township. Social, meditative, and treatment rooms feature rich woods, earthy colors, and original artwork. The senses are rewarded by the warmth of fireplaces, the gentle murmur of fountains, and the aroma of teas and freshly squeezed natural juices. Outside, a beautiful Japanese-style spa garden sheltered by stands of bamboo accommodates four cedarwood soaking hot tubs and a wood burning sauna. 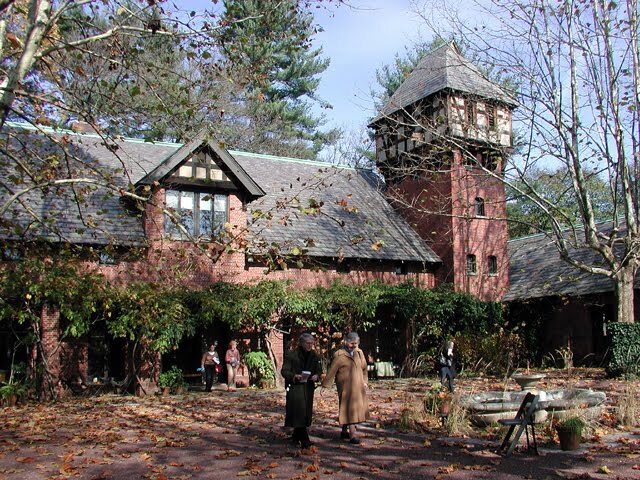 An unexpected oasis in the heart of Central Jersey, Onsen For All promises to improve the health and lives of all who come. The Center offers an ambitious array of spa services and classes. For the complete schedule, you can visit their website. Please check it out and let me know if you love it as much as I do! Well, with Thanksgiving now behind us, we are heading into the most exciting and yet most stressful time of the year. We can all meet at Onsen For All after the holidays OR BEFORE- you choose. By the way, gift certificates to Onsen would make excellent presents! My next post will talk about Princeton's official opening of the Holiday Season with the arrival of THE MAN (yes, Santa Claus, if you weren't sure) and the lighting of THE TREE at Palmer Square. Well, today is Halloween, Saturday, October 31st, and the day of my very first blog post. 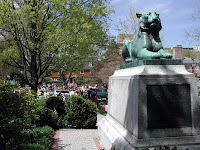 You can probably guess that this blog is about Princeton, New Jersey - daily life, activities, history, and of course, housing, my favorite subject. It will be about everything or anything to do with my home town, and possibly yours, if you decide that you absolutely must live here too! I personally invite you to explore this beautiful town with me and to try it on for size. As I turn back my clocks tonight, I look forward to long months of shortened, ever colder days. Yes, the seasons in the Northeast are just amazing. I love Palm trees too, but not on a permanent basis. Surprisingly, the next two months have always been my favorite months in Princeton. Princeton, a fabled "grandmother's" town ("over the river and through the woods"...yada yada yada) is a great place to celebrate Thanksgiving. I can give you some excellent pie recipes and the best stuffing recipe in the world (my mom's, of course!). The day following Thanksgiving, the official Christmas tree lighting ceremony takes place at Palmer Square. This event draws people of all faiths to the picturesque town center to enjoy holiday songs performed by one of Princeton's talented choirs. As the temperature grows crisper and the last colorful leaves swirl in the air, the evening is electrified by thousands of multi-colored lights and children's voices. Adding to the seasonal festiveness, wreaths and bows decorate the shops and lampposts around the Square. For the next six weeks, the town will be filled with local shoppers and visitors from all over. It is small town living at its best. Quaint, upbeat, and energetic! But first, hear this! Before all the holiday excitement begins, there is an annual Princeton event which I find to be equally anticipated and enjoyed. 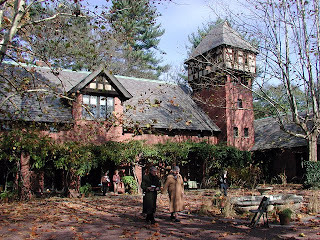 This is the 2009 House Tour sponsored by the Historical Society of Princeton and it will take place on Saturday, November 7th, from 10:00 am to 4:00 pm. It is a self-guided tour of eight historic homes, including five of the outlying buildings on the former Moses Taylor Pyne estate, known as Drumthwacket, now the official New Jersey Governor's residence. Uniquely restored and adapted, these now residential properties, once served as a coach house with stables, a dairy barn, a greenhouse, a master gardener's or superintendant's house, and a garden house with striking round brick water tower. The three additional homes, not part of the Pyne estate, date from the 1730's, the mid-nineteenth century, and early twentieth century. A $40. contribution gains you entry into all eight houses where docents will answer your questions about the properties. You can even buy one of these houses if you wish, for the modest sum of $4,350,000, and I would be happy to sell it to you! Guess which one? You will have a wonderful time while supporting a great cause. Princeton is all about history and this event helps raise money to protect its historic structures. For more information, there is a wonderful article in the October 28th edition of US 1 or visit the Historical Society's website. Upcoming posts will delve into Princeton's cultural, recreational, and historical nature. You can make suggestions or just come along for the ride as I post content near and dear to me. With the exception of twelve years in upstate New York (yes, Ithaca, another ivory tower town! - Isn't education just the best! 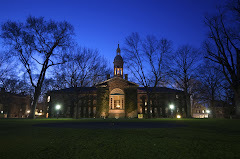 ), a year in Paris, France, and year in Naples, Italy, I have lived in Princeton my entire life! I raised five kids here. Phew, just got the last one through college! I have been selling real estate here for 23 years, and yes, I have probably been in your house at some point if you live in Princeton! Ask me anything. You can also visit my website at princetonaddress. It is already full of good information about Princeton in general and, of course, Princeton real estate. For now, please enjoy the House Tour and let me know what you think? See you here next week and maybe at the House Tour! I'll be hosting one of the Pyne houses!